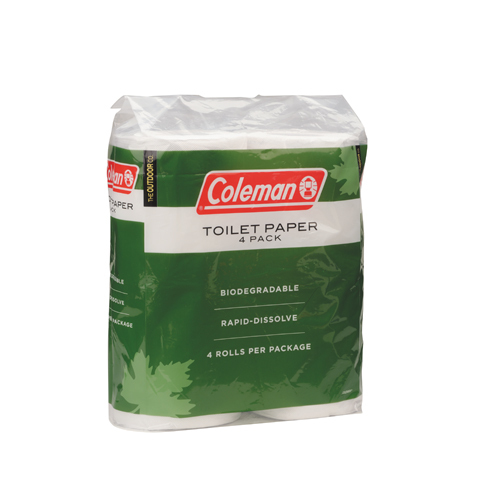 Stay comfortable and help protect the environment when you use Coleman Toilet Paper. This biodegradable paper is perfect to use in an RV or while out camping. It dissolves rapidly to reduce clogs and contains no dyes or perfumes. Four rolls come in each pack and each roll has 400 one-ply sheets.